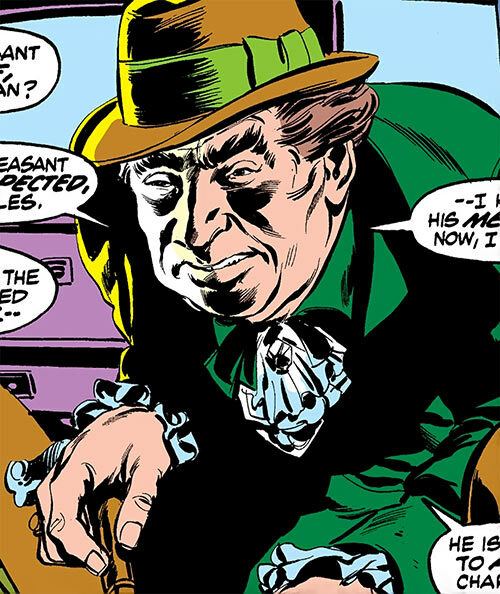 Damon Dran first appeared in a 1972 Daredevil storyline. He has since returned about once per decade. Dran evolved into a sort of James Bond villain figure. This makes him an excellent Big Bad for street-level heroes. Especially given his track record of fielding exotic combat/martial arts specialists. 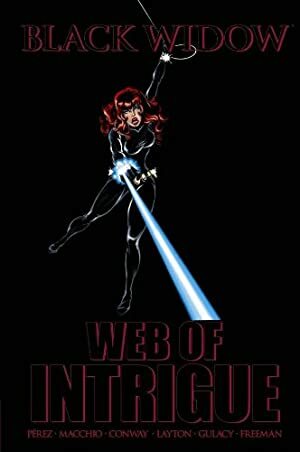 This profile has S P O I L E R S for a number of Black Widow and Captain America stories. Group Affiliation: Formerly Project: FOUR. Base Of Operations: Formerly San Francisco, formerly the Sea of China, formerly New Orleans. Height: 5’8” Weight: 150 lbs. For a short while, Dran mutated himself into an invulnerable, super-strong, unearthly giant with energy projection powers. This is when he took the Indestructible Man monicker. Though he no longer is a giant, Dran kept the core of his power – his invulnerability. He is seemingly impervious to any physical attack. He may also retain some slight degree of superhuman strength. But he’s a schemer, not a fighter. Dran is an intelligent, ruthless conspirator. He’s adept at creating criminal organisations from the ground up then efficiently running them. Damon Dran was originally known as a wealthy munitions dealer. He had shady contacts within both the underworld and the government. The bulk of his fortune was apparently made during WWII. After Hiroshima, Dran became aware that the planet could now be destroyed at any moment. And thus all his work, his abilities and his schemes would be annihilated and forgotten. Dran’s life work became to survive the nuclear annihilation of Earth. This involved a mysterious research project called Project: FOUR. FOUR may have had government backing – or maybe Dran just deceived people into thinking it had. During the 1960s, FOUR developed a “power globe” of unclear properties. Dran’s goal all along had been to steal the globe to make himself indestructible, after betraying everyone at FOUR. Dran hired mercenary Danny French to infiltrate the Project: FOUR installation. French was assisted by Soviet spy the Black Widow (Natasha Romanoff). They were successful. During the heist, French used a capsule of gas provided by Dran. It was supposed to knock out the project’s scientists. But the “stun gas” was a deadly poison. Now an unwitting murderer, French ran away with the globe. He stayed on the run for eight years. Dran’s men kept hounding French. They eventually captured him and Romanoff in San Francisco. Dran’s scientists scanned French’s mind and saw where he had buried the globe. Two of Dran’s men recovered the globe, only to be murdered by their paranoid employer. 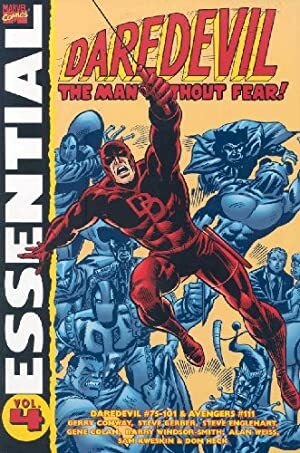 Dran then decided that Daredevil (Matt Murdock), who was looking for the Widow, was the main threat to his plan. Dran sent martial artist the Blue Talon after DD. After that failed, he sent a brainwashed Black Widow. Daredevil invaded Dran’s fortified manor, and freed French. However, Dran was already being imbued by the power of the globe. The ammunition monger emerged as a mutate , and able to project energy blasts from his hands. But those blasts blew up the manor, which collapsed on him. Grasping electrical wires to drain more power, Dran emerged from the wreckage as an inhuman giant. Daredevil and French escaped. Dran was engaged by the SFPD and then the National Guard. The troops couldn’t hurt him, but managed to slow him down. However Dran’s power and mass kept increasing. This threatened to collapse the bridge he and the Guard were fighting on. But Daredevil and the Black Widow joined the fight. They gained the upper hand when French threw a steel debris into the globe, destroying it and robbing Dran of his power. Dran was taken to a prison. French, fatally wounded by the exploding globe, died in the Widow’s arms. While disfigured, depowered and back to human size, Dran gradually regained his invulnerability. Escaping, he plotted his vengeance against the Black Widow while building himself a new network. Dran even managed to infiltrate the KGB with his own agents. He also relocated to a gigantic submarine cruising in the Sea of China. Laralie (later known as the Wrangler). Kono Sanada (aka “Kono the Sumo”). In 1983, the villain kidnapped Ivan Petrovitch. He then fed false information to both S.H.I.E.L.D. and the KGB. Thus, the Widow was sent to infiltrate a Russian project which S.H.I.E.L.D. thought to be connected with the missing Petrovitch. She fully succeeded. Dran, manipulating the Soviets, pulled the rug from under her by blowing her cover. A scientist with whom the undercover Widow had fallen in love was killed before her eyes. Then the KGB was tricked into hounding the Widow, and S.H.I.E.L.D. received false intelligence. This drove the Widow into a trap manned by Dran’s assassins. The Widow managed to defeat them. She even took down the Iron Maiden with the help of S.H.I.E.L.D. agent James Woo. But Natasha was eventually taken out by Snapdragon. Dran replaced the Widow with an impostor. The rigger was to trick Fury into flying the Helicarrier above a specially-prepared island. Then the fake Widow would murder Fury, and the Helicarrier would be shot down. The Widow would have nowhere to turn to, and even Ivan Petrovitch had been brainwashed into serving Dran. 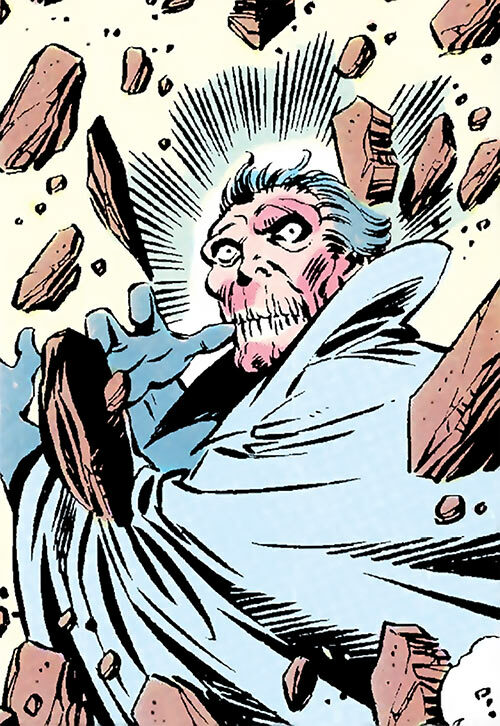 However the Widow escaped, defeated everyone, freed Petrovitch, and warned Fury in time. Fury killed the Widow impostor, and had S.H.I.E.L.D. destroy the island. Dran was thought dead in the bombardment. His invulnerability was then unknown, perhaps even to himself. By 1994, Dran had established a new criminal organisation in New Orleans. Kidnapping and selling people was its main business. He was assisted by Kono Sanada, Golddigger and a host of criminals and musclebound thugs. 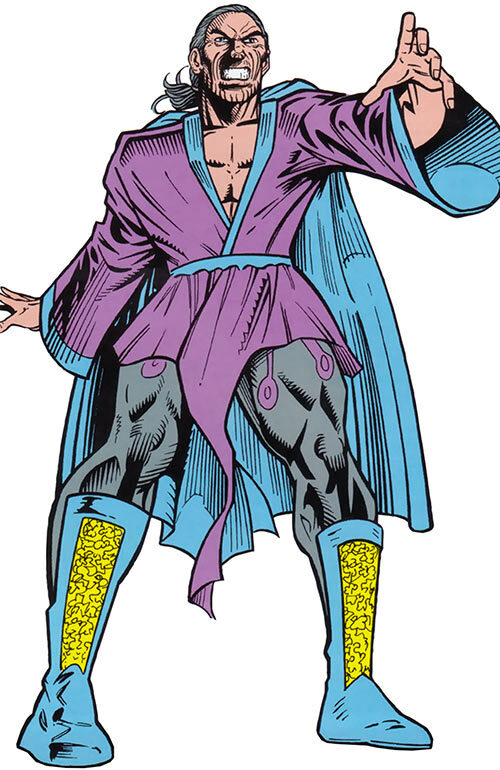 One of his best contracts involved kidnapping runaways to sell them to Baron and Baronness Zemo. But this brought his network to the attention of the heavily-armed vigilante Americop. Meanwhile, Diamondback (Rachel Leighton) was investigating the death of Snapdragon. This led her to Snapdragon’s former employer, Dran. 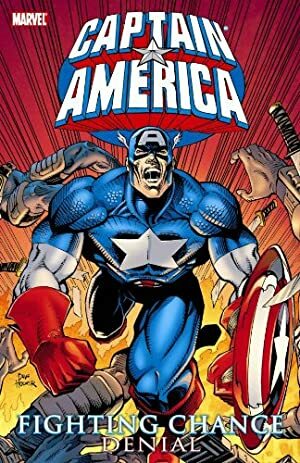 Diamondback was captured, but all that did was bring Captain America in. 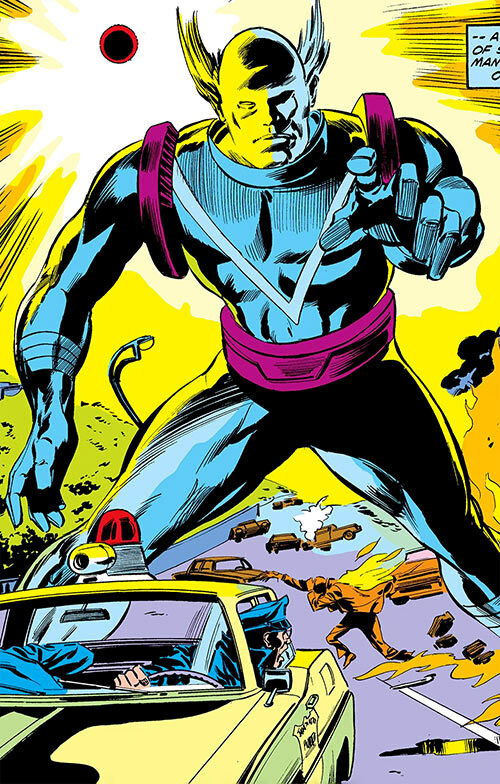 Although all three crimefighters were captured, Diamondback escaped and summoned the Avengers. Despite their considerable armament, Dran’s forces couldn’t hold their ground against Earth’s mightiest heroes. Therefore, Dran boarded an helicopter to flee. But the helo was shot down by Americop. Dran was apprehended by his nemesis, the Black Widow. By the mid-2000s, Dran’s invulnerability began to wear off. He started using surgery, cybernetics, ultraviolet-based treatments and drugs to armour his body and prolong his lifespan. However, the treatments made him even more paranoid. Using his vast resources, Dran began going after his enemies. He was convinced he had to kill them all before they’d take his life. His paranoid obsession focused on the shadowy organisation called Chaos. Dran couldn’t get any grip on them. They seemed to have no organisation, couldn’t be damaged, their actions made no sense, and they could do seemingly impossible things. Dran’s actions eventually drew the attention of S.H.I.E.L.D.. The Black Widow stopped him before Dran could kill her. However, Chaos inexplicably subverted a senior S.H.I.E.L.D. agent, who murdered Dran in his cell using poison gas. Were taking their orders from the future. Worked to ensure or prevent events decades ahead. The Widow nevertheless slew the Prophet – the man receiving the communications from the future. Thus, Damon Dran’s death was avenged by his greatest enemy. Dran’s face was at first terribly disfigured. 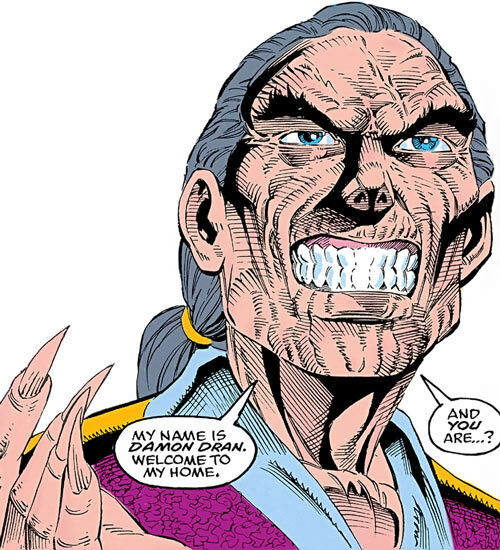 But that seemed mostly healed (through still scars-ridden) during his 1990s appearance. 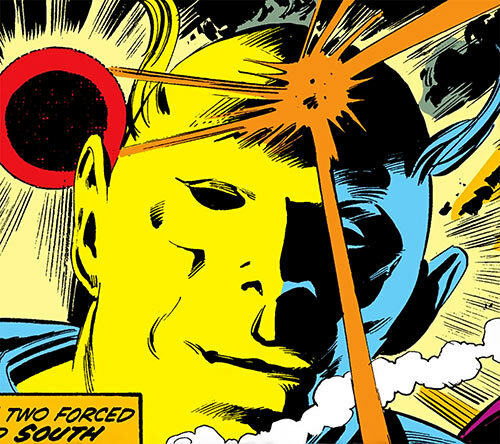 Perhaps he found ways to have some corrective surgery done despite his invulnerability. Dran is an egomaniac who feels entitled to fame, power and money. The notions that he might die one day, or that the humanity might not acknowledge his intellect and willpower, are anathema to him. However, he tends to move in secretive ways rather than directly claim attention. He prefers to quietly build up his power bases, scheme and live in luxury. During his initial plan, Dran was big on eliminating his henchmen as soon as they had done their job. He routinely double-crossed and backstabbed everything and everyone. This traitorous streak seems less strong now that he is indestructible. Yet he remains a paranoid double-crosser whose plans usually involve obfuscation and heinous crimes. Expertise (Business, espionage). He *likely* also had an anti-ageing Advantage. Age (Old), MIA (Paranoid), Distinct Appearance (Formerly had Strange Appearance). Dran is usually surrounded in visible luxury. His favourite car, for instance, would be a Rolls Royce with darkened windows and a uniformed chauffeur (not that one). He has access to advanced technologies, such as brain scan/brainwashing machines. But those are difficult to obtain and necessitate lots of resources. Thus, for 90% of his operations, normal technology such as firearms and helicopters are used. Brain scan machine [BODY 04, Mind probe: 06, R#3]. Brainwashing machine [BODY 04, Hypnosis: 08, Drawback: while this machine is quite efficient, its victims always receive a chance to break the control at appropriate dramatic moments, with a +2CS bonus and possibly more]. Anti-Helicarrier cannon [BODY 07, Projectile weapon: 18, Range: 12, Ammo: 05, Limitation: Projectile Weapon has neither Range (using the listed Range instead) nor AV (using the operator’s Weaponry (Heavy Weapons) Subskill instead. This huge cannon with one main barrel and five secondary barrels was camouflaged on an island, waiting in ambush for the S.H.I.E.L.D. flagship.]. Laser rifles that use a blue frequency and thus have a range of 50+ feet under water. He initially had Growth: 04 (already factored in, always on) and Energy blast: 10. His Growth (and thus STR and BODY) and Energy Blast were slowly increasing as long as he was in vicinity of the globe. GMs are encouraged to adjust the increase rate for a proper challenge. The globe floats around him. Destroying the globe will take away all of his powers (his STR and BODY revert to their base 02) except for his Growth and Strange Appearance, which take a few minutes to gradually recede. The globe has an OV of 04 and a BODY of 04, but can only be hit by a specifically called Trick Shot – and destroying it results in Bomb: 08. APs of Skin Armour (also work against energy attacks) with Partial (Long Coat) coverage. Paranoia amped to a SIA. He may have had other defensive Powers, including Systemic Antidote. Yes, he was killed by a toxin, but it seems that it had quite a lot of Poison Touch and Acid APs. Benefit 5 (Billionaire), Connected, Contacts. Power lust Dran is a complete egomaniac and megalomaniac. He is also obsessed with immortality. … if they’re really after you He is also ruthlessly paranoid, an issue that worsened as time went by. Appearance Dran was terribly disfigured when empowered, though the scars seem to have receded over the years. Trade-off areas. Attack/Effect PL 3, Dodge/Toughness PL 12, Parry/Toughness PL 11, Fort/Will PL 10. Points total 83. Abilities 10, Defences 5, Skills 13, Powers 48, Devices 0, Advantages 7. Equiv. PL 6. Obvs, the PL is useless here since he’s all defense and no offense. Much of what he actually does is throw money and paranoia at problems. Dran is usually surrounded in visible luxury. His favourite car, for instance, would be a Rolls Royce with darkened windows and a uniformed chauffeur. He has access to advanced technologies, such as brain scan/brainwashing machines. But those are difficult to obtain, necessitate lots of resources, and he doesn’t use them *himself*. Thus, for 90% of his operations, normal technology such as firearms and helicopters are used, and only by henchmen. Brain scan machine [Mind Reading 6]. Anti-Helicarrier cannon [Ranged Damage 15 (or 18 on the Uncapped Scale). This huge cannon with one main barrel and five secondary barrels was camouflaged on an island, waiting in ambush for the S.H.I.E.L.D. flagship.]. His Strength became a 12 (so that’s 8 additional Ranks of Enhanced Strength). His Appearance Complication was far more severe, as an alien-ish giant. He further received four Ranks of Growth, and ten Ranks of Ranged energy Damage. These Ranks of Growth and Damage were slowly increasing as long as he was in vicinity of the globe. GMs are encouraged to adjust the increase rate for a proper challenge. The globe floated around him. Destroying the globe took away the Ranks in Enhanced Strength, Enhanced Stamina and Damage, and he shed the Ranks of Growth over several minutes. The globe had Dodge 03 Parry 03 Stamina 02, had to be specifically targetted, and when destroyed did Burst Area 2 Damage 7 (give or take). Ranks of Protection, but with weak points. His Complication with paranoia worsens. He may have had other defensive Powers, including Enhanced Fortitude. Yes, he was killed by a toxin, but it seems to have been real strong.